Why should we care about the fate of birds around the world? Featuring Ben Freeman and Alexa Class Freeman Ph.D.
Bird sounds provided by The Macaulay Library of Natural Sounds at the Cornell Lab of Ornithology, Ithaca, New York. Song of Yellow-browed Meledictes recorded by Alexandra M. Class; call of Mountain Kingfisher  by Thane K. Pratt; ambient drawn from Black Sicklebill  recorded by Thane Pratt; Ribbon-tailed Astrapia  recorded by Eleanor Brown. 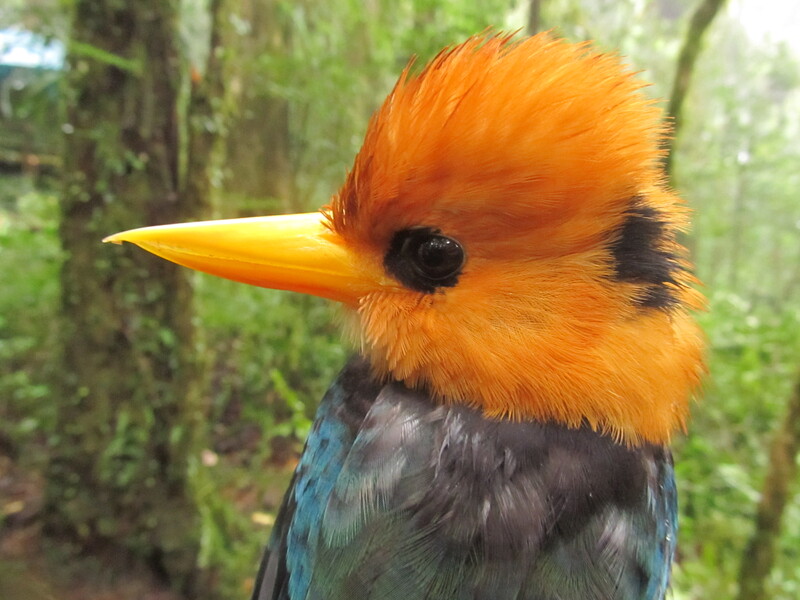 A pdf copy of the Freemans’ research paper, entitled “Rapid upslope shifts in New Guinean birds illustrate strong distributional responses of tropical montane species to global warming,” can be viewed and downloaded at www.eurekalert.org/pio/pnas.php. This research was funded by the National Science Foundation, the Athena Fund of the Cornell Lab of Ornithology, and the Explorer’s Fund.